Being a part of the Heritage Lottery Funded “Aberystwyth at War: Experience, Impact, Legacy 1914-1919” has been an exciting experience and has led to a re-evaluation of neglected items. In a large institution such as the National Library of Wales items are donated, duly processed and located, with their true significance not always understood. Described succinctly as “About 160 postcard-size photographs collected by a Welsh family, consisting mainly of wartime portraits of uniformed men and women” the prognosis for photo album 500 wasn’t promising. However, carefully turning the dog-eared and time-worn pages initially revealed numerous photographs of a well to do middle class family. Further on the tone of the album changes, more and more of the pictures are portraits of men in uniform, many identifiable from other sources as distinguished local servicemen. 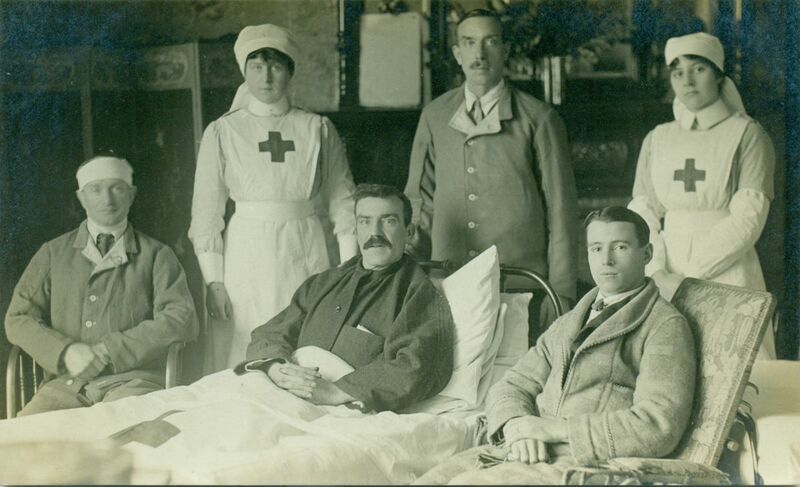 Many more are in hospital blues, the distinctive uniform given to convalescing soldiers. These are often signed along with details of their regiment. Some are of Red Cross nurses. Perusing the few postcards that have been postally used it is apparent that the album was compiled by Miss Emily Evans of Tanyreithin, Baker Street, Aberystwyth. A quick check on the Red Cross WW1 website reveals that Emily Evans was a Red Cross Nurse at Aberystwyth Red Cross Auxiliary Hospital (now The Cambria), between June 1916 and November 1918 donating over 5000 hours of her time. 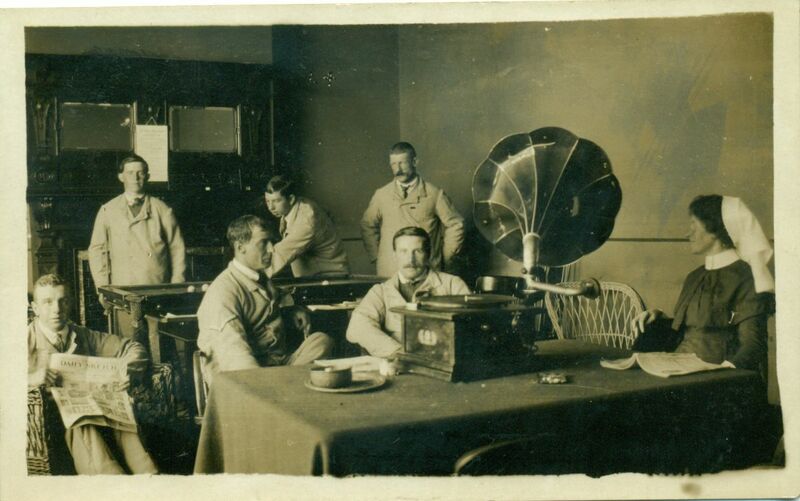 Included in the album are the only photographs that have yet come to light of the interior of the hospital. To date all other photos connected with the hospital have been group photographs taken outside.